As practitioners of Reiki we know how important self care is. We also understand the value of community and sharing experiences together. 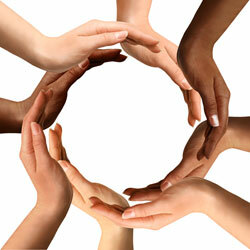 The Reiki circle is open to anyone interested in exploring Reiki for self health . Our intention for our circle is simple. Healing Self/Heals All. We will use the Three Diamond Meditation in our circle of self care and then send the essence of energy out for healing in our community, country, world and the wellness of all beings.